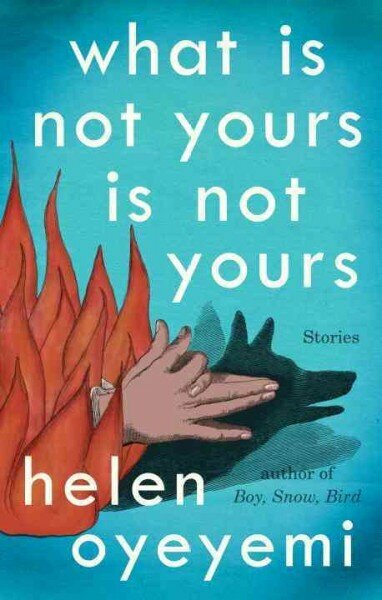 The epigraph to Helen Oyeyemi’s absorbingly seductive and strange new story collection, What is Not Yours is Not Yours, reads: “open me carefully.” These words are intended on multiple levels. The stories contained in this book are all about things locked and opened—from doors to hearts to secrets. These are also interlocking stories, making this more technically a story cycle rather than a collection. And, finally, these stories should also be read with care. Oyeyemi’s prose is gorgeous but often there are barbs hidden within this loveliness. The opening story, “Books and Roses,” was a twisting story within a story: both about love and both entwined with the other. The main story follows Montserrat, a baby left in a chapel, and the secondary narrative is that of the story told to Montse by Senora Lucy. I’ll admit that this story left me feeling a little cold. Something about it, especially on first read, felt less full and alive than some of Oyeyemi’s previous work (especially my two favorite of her works: Icarus Girl and White is for Witching.) However, this story becomes more meaningful as one reads through the rest of the pieces. Its themes of love and loss and hopeful waiting become more sharply defined when juxtaposed with the other tales. One of my favorite stories is “‘Sorry’ Doesn’t Sweeten Her Tea,” (and not only because of that perfection of a title), which centers around a house of locks. Here, again, we are given physical locks as stand-ins for the things we can’t lock ourselves away from (or the things we too willingly do lock ourselves away from). The other trick that Oyeyemi consistently proves she can do extremely well is that of beginning and ending her stories (something that I haven’t always found true of her novels—it goes against most people’s opinions, but I found both Boy, Snow, Bird and Mr. Fox to be ultimately disappointing because of their weak endings). Take the opening of “Drowning” for example: “This happened and it didn’t happen: A man threw a key into a fire. Yes, there are people who do such things.” Or that of “Dornicka” which begins: “Well, Dornicka met a wolf on Mount Radhost.” What each of these openings also shows is how intrinsic storytelling and a folkloric feel is to this collection. In each story, I felt like someone was telling me the story, versus that I was reading it. This is a hard feat to pull off well, but Oyeyemi has perfected it. Ultimately the flaws of the book seem more to be flaws of labeling rather than anything else. As a story collection, some of these pieces don’t hold up as well. They feel not quite completed or slightly less full of life. However, reading the whole book as a, well, whole is a different experience entirely. The stories speak to one another and gain deeper resonance through the act of reading them together. So, if you’re looking for a book to pick up and just haphazardly read a story or two then this might not be the collection for you. If, however, you’re looking for an unsettling, lyrical, trip into a world of hauntingly beautiful stories, then certainly pick this one up!